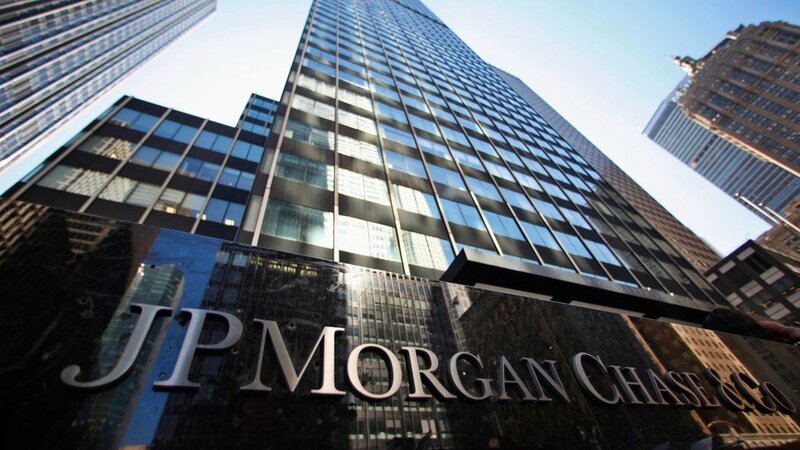 The largest US bank by assets, JPMorgan Chase & Co, believes there is potential in the blockchain, a digital currency platform, to make back office processes more efficient, according to the Financial Times. JPMorgan officials said the bank believed blockchain could make multiple transaction types more efficient and accurate. They could also make transactions more transparent. This is a telling move by a bank long accused in cirlces – from Internet forums to government offices – of manipulating markets. Under Blythe Masters – a former JPMorgan employee now working in the Bitcoin space – the bank was charged with manipulating multiple energy markets across the United States. In physical commodities, the bank has log received criticism for the perceived manipulation of precious metals. With block chain technology, the bank can put aside these concerns. The Bitcoin block chain functions as a public ledger, storing the data of Bitcoin transactions. JPMorgan will likely investigate creating their own block chain – what’s known as a “private block chain” – which differs from the sort of public block chain maintained by an online creation community known as the “Bitcoin Community.” To do this, JPMorgan has teamed with their former derivatives mastermind, and head of commodities, Masters, who left her former firm to start Digital Asset Holdings, a digital technology company specializing in block chain type innovations. The firms clients span from the US to Australia. The move validates Masters’ long struggle from derivatives, to commodities, and, finally, block chain technology in her bid to make financial transactions more transparent. There’s Bitcoin, the currency, I think is going to go nowhere and that’s not because of anything to do with technology. He’s been clear other places that he believes Bitcoin is a waste of time. They (the Government) will not support major currencies that go around borders that they don’t have control over. Like any other technology, if it is cheaper, effective, works, and it is secure, we are all going to use it. We have a study group looking at Blockchain. It may be very good for certain things like loans, with a lot of documentation that is hard to transfer. It may not be as important for something that already has gone electronic. JPMorgan joins a long list of financial institutions exploring Bitcoin technology, and more specifically block chain technology. For instance, R3 – a consortium of many major financial institutions – has gained a lot of attention as a powerhouse in block chain, and fintech. Goldman Sachs is another example. From banking and payments to notaries to voting systems to vehicle registrations to wire fees to gun checks to academic records to trade settlement to cataloging ownership of works of art, a distributed shared ledger has the potential to make interactions quicker, less-expensive and safer,” a Goldman analyst told Business Insider last year. Bitcoinist has reported on the phenomenon of banks entering into the fintech space with piqued interest in block chain technology. For instance, Bank of America has filed for numerous patents in the space. The mainstream media covered en masse in 2015 the block chain technology, in a year that can certainly be called the year of block chain technology. In late August, the New York Times covered the topic. It’s not only financial institutions, but, also, the largest technology companies, which have seriously and earnestly looked into the block chain technology. There are many proposed uses for such technology, and while the potential for the technology is currently little understood, it would appear that JPMorgan’s investigation of the space could represent the beginning of big changes to, at least, back office processes in the world’s financial infrastructure. The post JPMorgan Sees Block Chain’s Potential, Reteams With Blythe Masters appeared first on Bitcoinist.net.